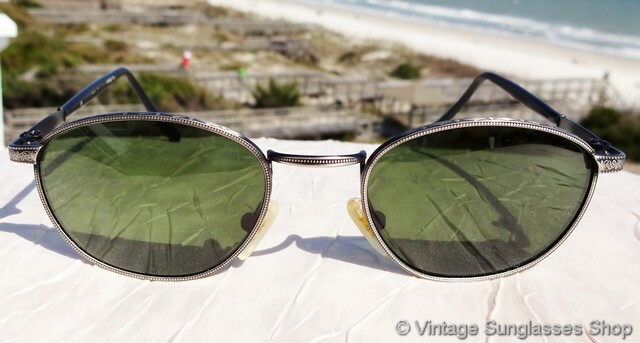 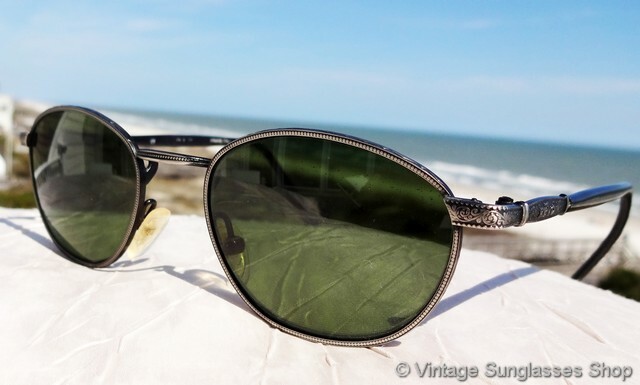 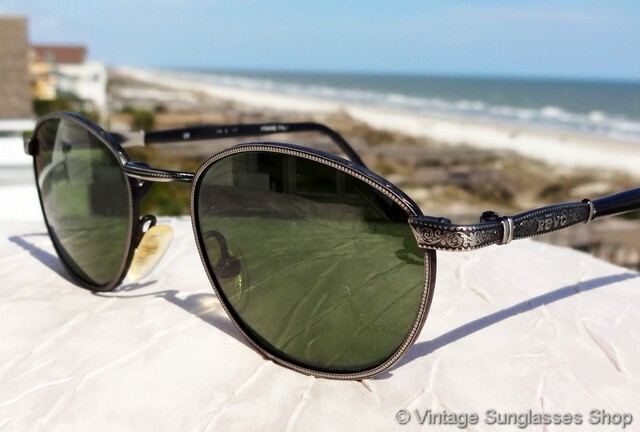 1 Vintage Revo 1208 011 Tiburon sunglasses from the Traveler Collection combine an etched silver gunmetal frame with jet black ear stems and green Revo lenses for a particularly striking and eye catching look. 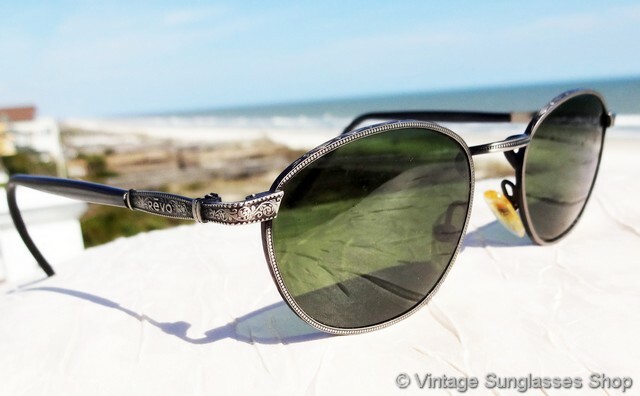 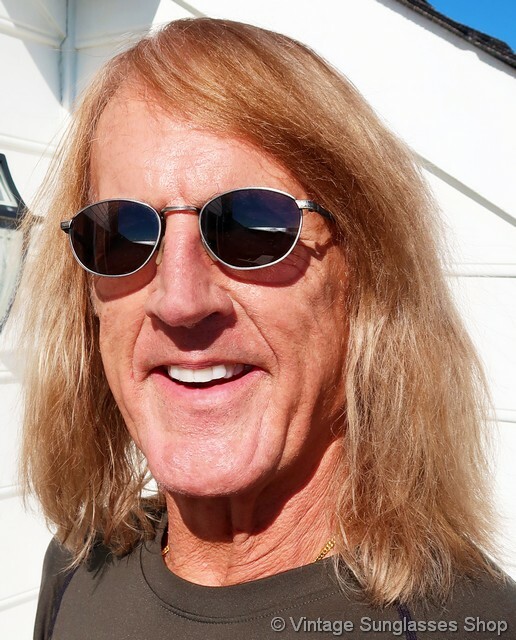 The Revo logo is cleverly integrated into the intricately etched metal on each ear stem near the hinges, and it's one of the best incorporations of the Revo logo of any style of vintage Revo sunglasses. 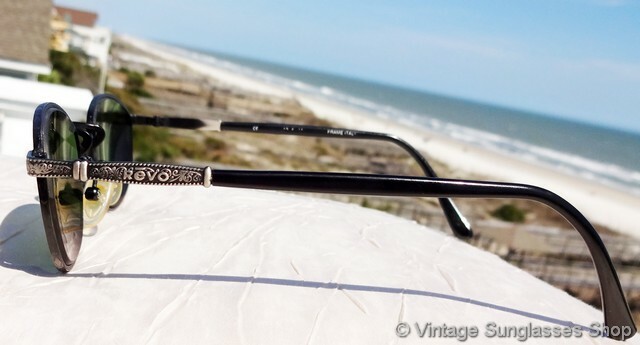 The unisex Revo 1208 Italian frame measures approximately 5.0" temple to temple with Revo Traveler Series Tri-Band lenses measuring approximately 1.875" x 1.375" at the widest points. 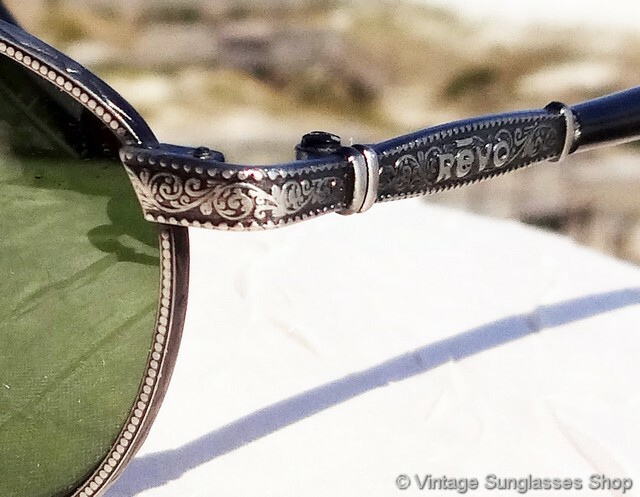 The intricate detailing of the etched metal frame is one of the most notable design features of Revo 1208 sunglasses, a real icon of 1980s sunglasses design. 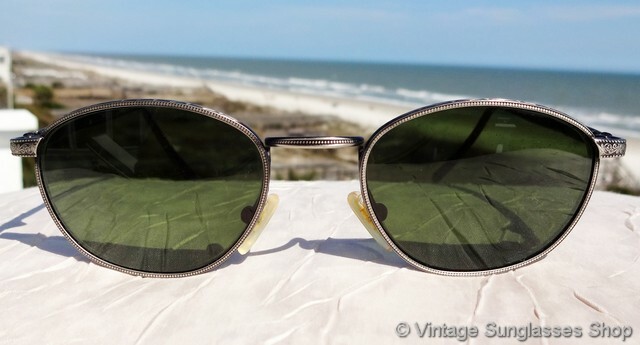 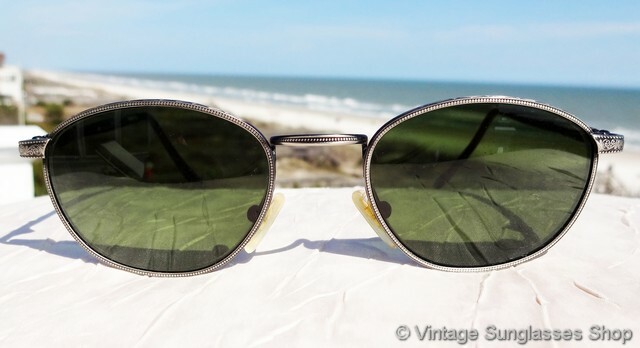 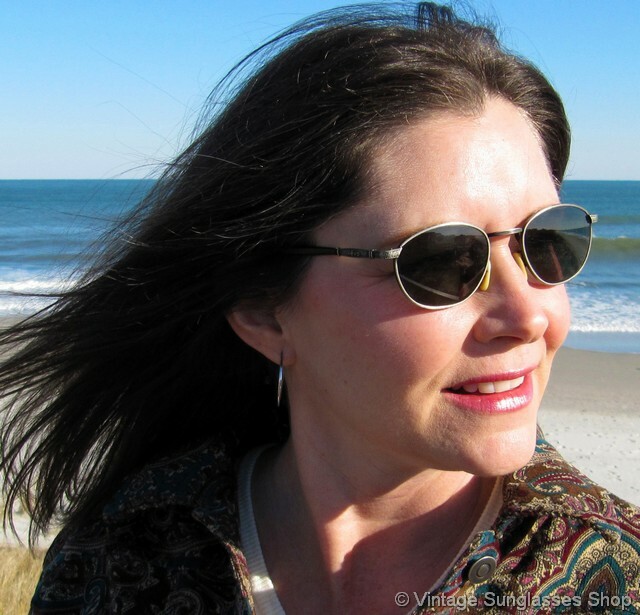 The inside of one ear stem is marked CE 1208/011 Frame Italy, direct to you from a major Raleigh, NC estate collection of fine vintage sunglasses and other top fashion accessories. 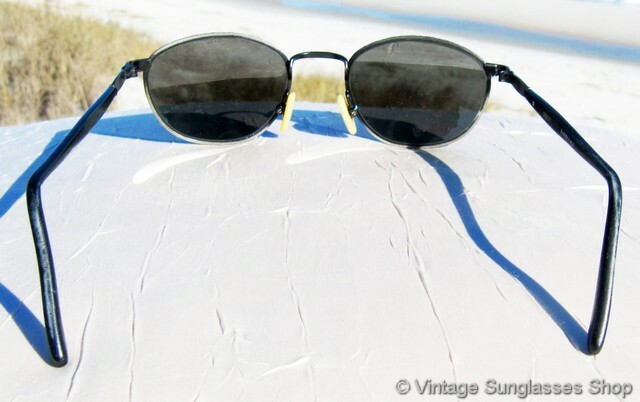 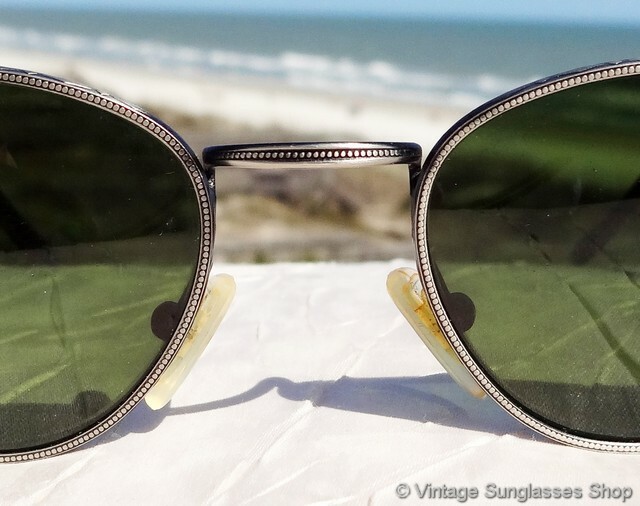 2 Step up another level beyond our already unequaled vintage condition standards with new old stock 1208 011 Tiburon sunglasses in mint, unworn condition.